Learn from your computer, your tablet, your mobile device. I declare that I have read, understood and accept all the provisions/terms of the student agreement. This program is an academic, on-line program based on the highest educational standards according to the principles of Samuel Hahnemann. 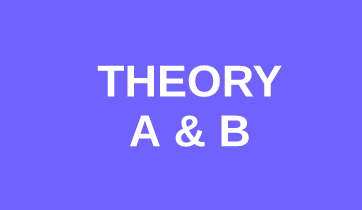 Theory, Materia Medica, Repertorization, Questions and Answers, Topics, Cases and Analysis. Parallel with every each video, there are indications of the portions of books of Hahnemann, Kent and Vithoulkas, corresponding to the teaching, that the students have to study. The new and pioneering theory of the Levels of Health will enable the students to deeply understand the process their patient is going through and they will understand when to apply, what potency, how often to repeat it and what to expect as a reaction. They will have the possibility to follow the long-term treatment of many cases, how George Vithoulkas takes the case, how he analyses and synthesizes the information in order to find the correct remedy, what strategies he uses to come to a prescription and how he differentiates the remedies. It consists of 300 hours of video & audio, 300 hours of study and 150 hours of clinical practice (total:750 hours). Click the button below to download the detailed Curriculum of the 9 modules of the 2-year E-learning course. The duration of the course is 2 years. Get the golden opportunity to learn Homeopathy with Prof. George Vithoulkas from your home. 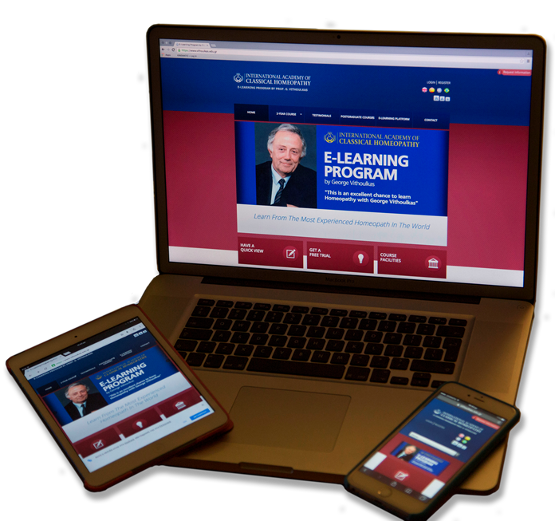 This E-Learning program is an academic, on line course, based on the highest educational standards according to the principles of Samuel Hahnemann. The careful study and acceptance of all the terms below constitutes a prerequisite for the participation of the student in the training program of the International Academy of Classical Homeopathy (hereby referred to as the "Academy"), which is described below, as well as for the use of the relevant electronic platform. Within the context of its training activity, the Academy provides an e-learning training program in the area of Classical Homeopathy, which has been exclusively based on the tutoring of Professor George Vithoulkas and has been developed in accordance with the principles of Classical Homeopathy. In order to achieve the aforementioned aim, the Academy has created a special "Training Internet Site" (e-learning platform), which can offer remote access to parties who are interested in participating in the aforementioned e-learning program from any country in the world. The aforementioned program is divided into seven thematic units: Theory, Materia Medica, Repertorization, Questions and Answers, Topics, Levels of Health, Cases and Analysis,which are offered to the student in video and audio form. 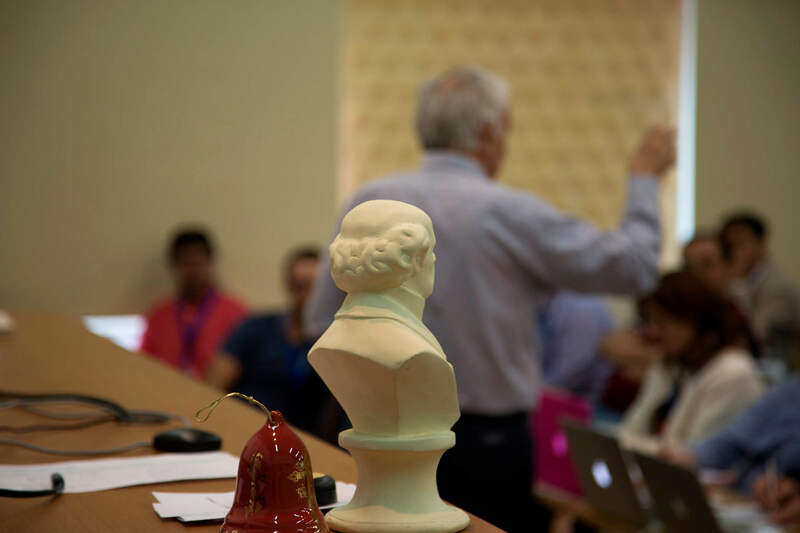 The students of the Academy will be supervised by Professor George Vithoulkas and by certified moderators, holders of excellent knowledge and experience in the aforementioned subject of Classical Homeopathy. In the course, there are tests at the end of training modules, final online exams and a forum in which the students write their questions and the moderator-tutor is answering. The e-learning program consists of 300 hours of video & audio courses, 300 hours of study and 150 hours of clinical practice (total: 750 hours). Parallel with each video, there are indications of the portions of books of Hahnemann, Kent and Vithoulkas, corresponding to the teaching that the students have to study. The students are obliged to participate in three tests (Theory/Organon, Materia Medica and Repertorization) and to do the self-assessments required from them (they do not have this obligation if they only want a Certificate of Attendance). The student has the obligation to attend the whole of the program within a time period of 24 months (2 years) from the time of his/her admission. In case the student fails to attend the complete program within the aforementioned time period, then their access to the electronic platform will be suspended. The right for a participation in the diploma examinations is extended to all Medical Doctors, Dentists, Veterinary Doctors and Homeopathic Practitioners. 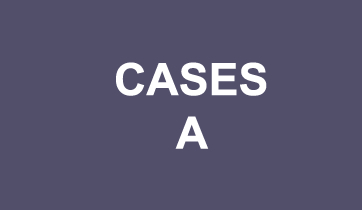 As a pre-requisite for receiving the Diploma of IACH, all students are required to submit ten (10) cases with follow-ups for six months (at least two follow-ups). These cases can be submitted within one year after the completion of the course and the successful passing of the Final Exams. The Diploma of IACH does not automatically confer a legal right to practice homeopathy. Students must comply to the relevant laws of their own country. Especially for Greek residents, the right for a participation in the diploma examinations is extended to all Medical Doctors, Dentists and Veterinary Doctors. All other students will receive a Certificate of Attendance. After the approval of the Moderator that the student has completed the attendance of the program, the student shall be able to participate in the examinations that will take place ONLINE and will be recorded using the cloud based service https://zoom.us in order to assure the quality and the academic integrity of the Final Exams. For that reason each student shall have a working video camera and a microphone on the computer that she/he uses for taking the Final Exams, and that the camera and the microphone are enabled when she/he starts the Exam session. Failure of the student to enable her/his camera during the Exam session, or any other event that may result in an empty or black recorded image or a totally silent recording, will disqualify the student from the Exam. The recording will be checked by authorized Academy personnel, to ensure that the student has relied solely on their acquired knowledge of Classical Homeopathy in order to answer the Exam questions. Using books or notes or existing online educational material as a reference is allowed only at the Paper Cases part of the exams and the Organon book at the Organon part of the exams. Any external help from a third person, located in the same room or communicating remotely with the student, is a reason for disqualification. The Academy is committed to protect student’s privacy and the recorded material is only for internal use and will never be provided to any third party for any reason whatsoever. Recordings will be kept for a period of one (1) year following the Final Exams completion date, and will be deleted afterwards. The Final Exams are conducted on designated days each month and students can take part at a month of their choice. In case of failure in the examinations, they shall be able to participate again after six (6) months by taking all the tests of the Final Exams. If a student fails during the second attempt, he/she is allowed a third and final attempt, six (6) months after the second one. The cases should be submitted the latest one year after finishing the final exams. The cases have to be treated by the student himself in order the Moderator to be able to notice how the student approaches and evaluates them. The cases will be reviewed by the Moderator who will give guidelines and offer feedback to the students. Please do not record any information that identifies the patient. More specifically, do not record first/last name or profession. Age should also be written approximately in years, not exact and not in a more specific way. The Student must treat the submitted cases with extreme confidentiality, providing for the anonymity of the patience and not record any information that identifies the patient (first/last name, profession, birth date, etc). The cases will be discussed with the Moderator, but it is understood that the treatment of each of those cases is the Student's responsibility and will continue to be so. The data from the submitted cases can be used by the Academy for educational and/or research purposes. All other students, who will not take part to the exams and who will not submit the 10 cases with 6 months follow-ups, will receive the Certificate of Attendance. The Certificate of Attendance under no circumstances gives them the right to practice homeopathy in their respective countries. This course can be attended by scientists of biology, physics, chemistry, biochemistry and related sciences. This is done with the purpose to open up areas of research for all questions related to scientific proof of homeopathy. The student shall have the option to watch a sample of the lecturing of Professor George Vithoulkas in the first page of the platform and more specifically in the address http://vithoulkas.edu.gr or in the youtube channel of Prof. Vithoulkas. They also have the possibility to register for a 10-day Free Trial. By participating in the Free Trial students have no obligation to register in the full 2-year course. - To participate in the Forum that will be available in the platform, to post and to exchange views. The Moderators will monitor the discussions, so as to provide personal or team answers. - To have online access via the Website (portal) https://www.vithoulkas.com/, to the Organon of S. Hahnemann, the online "Materia Medica" (Kent, Boericke, Allen, Farrington, Dunham, Nash ), as well as to the articles of Professor George Vithoulkas. Please note that your login/username and password for the E-learning platform is strictly confidential and cannot be shared with anyone else. After registration the student will receive two messages. One containing general information about the Course and one with information about a 10-day Free Trial. When the Free Trial is over the student will receive a message with payment details. Through the links in that message the user will be automatically redirected to the PayPal system of electronic transactions (http://www.paypal.com ), where they can pay off the cost of their registration and/or the subscriptions they have chosen. Alternatively, students have the possibility to pay via bank wire transfer. The registration and admission of the student to the course will be confirmed with the consent of the administrator, in order to avoid the registration of any malicious users and only after the payment procedure has been completed. The time the material becomes available commences as soon as the Academy receives the first installment of money. The Tuition Fees and the Conditions of the participation terms are described in ANNEX I, which constitutes a part of this Agreement. Students who are eligible for the Diploma of IACH have to be Medical Doctors, Dentists, Veterinaries, BHMS and Licensed Homeopathic practitioners. 2. has to pass successfully the Tests on Theory and Organon, Materia Medica and Repertorization. 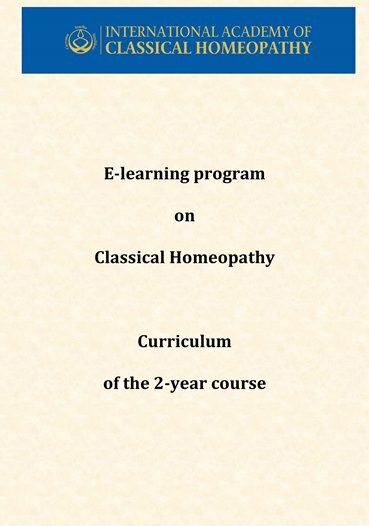 The E-learning Course offered by the International Academy of Classical Homeopathy contains all the necessary knowledge to provide a solid foundation towards becoming a good homeopath. So our Diploma certifies knowledge but does not automatically give one the right to practice homeopathy. Students must comply with the laws and regulations of their respective country. As these laws vary around the world, the responsibility for that research falls to the interested student. Support to the user before their registration will be offered through the email elearning@vithoulkas.com, as well as through telephone or Skype for issues that cannot be resolved through electronic mail. Support to the user after their registration will be offered through email and through the platform itself, in the Forum. By means of the use of the forum for the submission of questions, all the users have the ability to see the frequently asked questions and answers. They will also have the possibility to search by keyword through all the posted messages. Answers to e-mails will be given the next business day and within 24 hours from the e-mail delivery of the user (apart from Saturdays, Sundays and official holidays), whereas telephone or Skype support will be provided from Monday to Friday from 09:00 to 17:00 Greek Time. (apart from official holidays). In case provisions 10 and 11 of present agreement is not to be followed in practice or breached, directly or indirectly, this will be held as consisting a severe breach of the agreement and will result in immediate termination thereof as well as the provision of services in any other form, digital, printed or other, on behalf of the Academy. The software of the e-learning platform may not be reverse engineered, decompiled, disassembled, hacked, exploited and its content should not be recorded, through analog, digital or other, as effective, means. Any attempt or action in the direction of copyright infringement is to be held as an act, harmful to the interests of the Academy. Moreover, equipment, tools and software used so as to prepare the aforementioned acts will be considered a breach of present agreement and will be treated as an infringement. The termination is to be notified in written form, is to have an immediate effect and will not cause any obligation for a refund of fees for services or products. In case there is either an obligation or a legal right thereto, the Academy is to provide any help needed to judicial or police authorities. Restitution of damages of the Academy or third parties, as well as prosecution of people and persons involved in criminal activities, is to follow according to provisions 10 and 11, as well as the provisions in force in applicable i.e. Greek law. The aforementioned terms and conditions of use of the specific training program, as well as any amendment to them, are governed and construed in accordance with Greek Law, which is exclusively applicable. In case any term of the present agreement becomes inconsistent with the law, it shall be automatically annulled and removed from the present, whereas the validity of the remaining terms shall by no means be affected. As regards any dispute or disagreement or disputation that may rise during the construction and/or the performance of the present agreement, the Contracting Parties will attempt to reach an amicable settlement. In case the Contracting Parties fail to reach an amicable settlement, according to the above, then the exclusive jurisdiction for the resolution of the dispute or the disagreement or the disputation shall belong to the Greek Courts of Athensand applicable is the Greek Law. The present constitutes the full agreement between the Academy and the visitor-user-student, which is equally binding to both of them. No amendment of these terms shall be taken into consideration and shall constitute a part of the present agreement, unless it has been previously formulated in writing and integrated to it. 12 vol. of Materia Medica Viva and 4 Prof. Vithoulkas' books: "Science of Homeopathy," "Levels of Health," "New Model of Health and Disease," and "Homeopathy, Medicine for the New Millennium." 4 Prof. Vithoulkas' books: "Science of Homeopathy," "Levels of Health," "New Model of Health and Disease," and "Homeopathy, Medicine for the New Millennium." Nurses 4,500 Euros paid in 8 installments 2 Prof. Vithoulkas' books: "Science of Homeopathy," "Levels of Health"
Prof. Vithoulkas' Book: "Levels of Health"
4 Prof. Vithoulkas books: "Science of Homeopathy," "Levels of Health," "New Model of Health and Disease," and "Homeopathy, Medicine for the New Millennium." Students who do not belong to the above categories 5,000 Euros paid in 8 installments 2 Prof. Vithoulkas books: "Science of Homeopathy," "Levels of Health"
If a student wants to see the second, third, fourth, fifth, sixth, seventh or eighth unit (according to his/her payment plan) of the E-Learning Program earlier and does not want to wait for the next months for the second, third fourth, fifth, sixth, seventh or eighth installment, he/she can pay earlier and automatically the corresponding unit of the E-Learning Program will be unlocked. The student shall not have the right to choose only the second, third fourth, fifth, sixth, seventh or eighth unit separately. The cases will be given in audio form, whereas the analysis of the case in video form. The students shall have the possibility to see the complete program within a time period of 24 months. In case they fail to watch the complete program within the aforementioned deadline, the access to the program will be suspended. If the payment takes place in installments and in case an installment is delayed for more than 10 (calendar) days, the ability of the user to have further access to the training program will be automatically suspended. It is noted that all the aforementioned amounts of the tuition fees, concern each student-user personally. Public organizations (such as universities, colleges etc.) that wish to provide to their students the training program offered by IACH, are obliged to conclude a special agreement with the Academy. The fee for the online exams will be 370 euros. In the event of a student's registration cancelation at any point, the already paid fees are not refundable. By providing your email address here, you accept that the Academy may use it to send you occasional promotional material and other Classical Homeopathy related newsletters, and that certified partners of the Academy in your locality (country or greater region) may occasionally also send you similar communications. This address will never be shared with any third-party which is not both (a) contractually partnered with the Academy and (b) related to Classical Homeopathy education and practice. Any communication from the Academy will always provide an Unsubscribe option for you, enabling you to stop receiving any further communications. At any given time, if you have not attended any homeopathy course from this website, you may request the removal of your account and personal data, including your email address from our database, at which time any further communication from the Academy or its educational partners to you will cease. 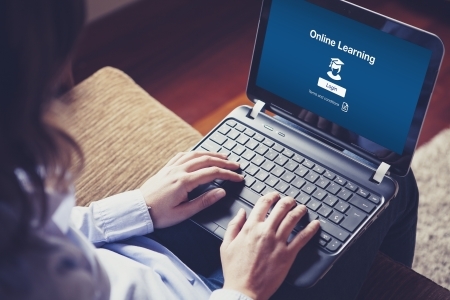 If you are attending the e-learning course from this website, your data will be kept for 3 years following the completion of the period during which you were allowed access to the e-learning course, for accounting and auditing purposes. Our complete course on Classical Homeopathy, addressed to both beginners and experienced homeopaths. The beginners will come to know and acquire a solid foundation on the Science of Homeopathy and the advanced Homeopaths will comprehend the deeper points of Homeopathy according to the guidelines of Prof. Vithoulkas. 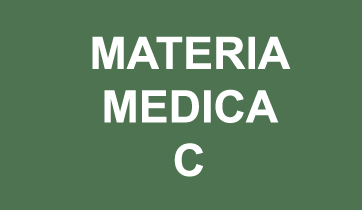 The course covers 5 Thematic Units (Theory, Materia Medica, Repertorization, Q&A and Cases) in 9 Training Modules. The knowledge of the Levels of Health will give the ability to the homeopath to assess the depth of the pathology and give a more accurate prognosis. The careful study and acceptance of all the terms of partitipation in the E-learning Program constitutes a prerequisite for the participation of the student in the training program of the International Academy of Classical Homeopathy (hereby referred to as the “Academy”), which is described below, as well as for the use of the relevant electronic platform. In order to get more information about the fees of the E-learning Course, you may contact the IACH representative, whose contact details you will find at the end of this webpage. In my opinion the E-Learning course is most excellent, fascinating and absorbing, reflecting the quality of Prof. Vithoulkas' teaching. I think I have learned more in two months than in two years before. I LOVED the E-Program! I am a Hahnemannian homeopath practicing in Los Angeles for 17 years. 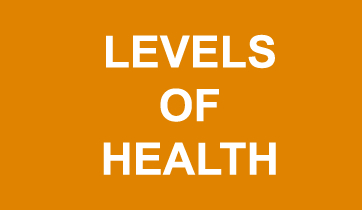 I wanted to take the course so I could get a better understanding of the 'Levels of Health.' I decided to do the full program because it would give me the best understanding of the Levels of Health when taught along with Theory and Case management. I have thoroughly enjoyed it and am so glad I did it! Now I say: "WOW... How can any homeopath treat a patient without knowing this information!" I am an allopathic doctor and am new to Homeopathy and have no prior knowledge/experience prior to join this course, but am very eager to learn and eventually start my own outpatient practice. I have been enjoying the videos very much. Today, millions of people try homeopathic treatment to cure their sufferings,with mixed results. It is because some of the practitioners lack the correct training. If anyone wants to become a true healer and learn this beautiful and complex science, there is a complete E-LEARNING program in which the best homeopath in the world, Professor George Vithoulkas, will share his knowledge and his experience of over 50 years. 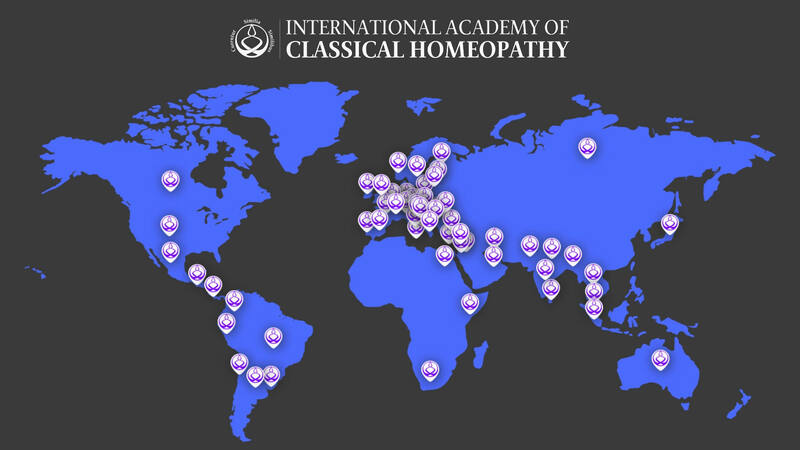 I have studied homeopathy off and on for over 14 years and I can say without hesitation that the E learning course offered with the International Academy of Classical Homeopathy has been by far the best thing I have ever invested my time and resources in. I liked it so much to have the Academy of Alonissos in my practice room, being able to join in, via the E-Learning Program, I would prefer to continue this forever! To express my gratitude for the knowledge offered to us in this course, I am afraid that I will not find the right words, but I will give it a try: "I was blind but now I start to see" Thank you so much Mr. Vithoulkas and thanks to everybody for training, informing and communicating. I enjoy very much the video-lectures of Prof. Vithoulkas ! They are of real help for me. He is a marvellous teacher and I feel that he opens my mind, offering me very clear information. Firstly, thanks for putting this together. Especially for people like us who are so far away, it's a real blessing. There were initial apprehensions that doing the e-learning will not have the class atmosphere and may become a bit monotonous etc. But I felt like I was in that class and felt quite transported there. The lively description of the remedies, cases and theory - coloured, lightened and made lively through anecdotes by the Master - made it (and him) a very good company during these months, since I signed up. I am above all very grateful for the possibility to balance his virtual presence through the e-learning with the live summer courses in Alonissos.